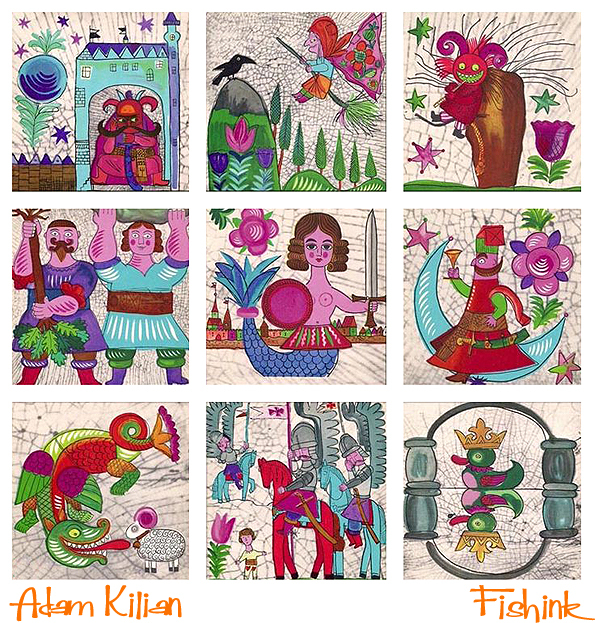 Born in 1923 in Lviv, Ukraine. 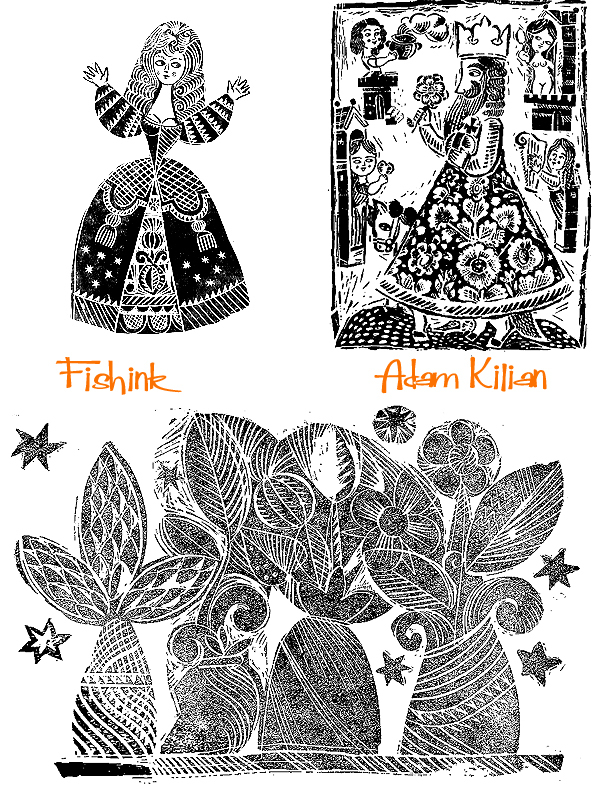 Adam worked with puppets and prints, one field inspiring work for the other. 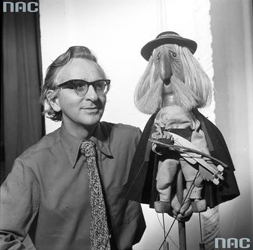 He studied architecture at the College of Arts and Crafts in Nottingham, U.K. Then returned to Poland and from 1948 to 1951 was the managing director and stage designer of the Niebieskie Migdały (Idle Dreams Theatre), a puppet troupe his mother, Janina Kilian-Stanisławska, had founded in 1944 in Samarkand. 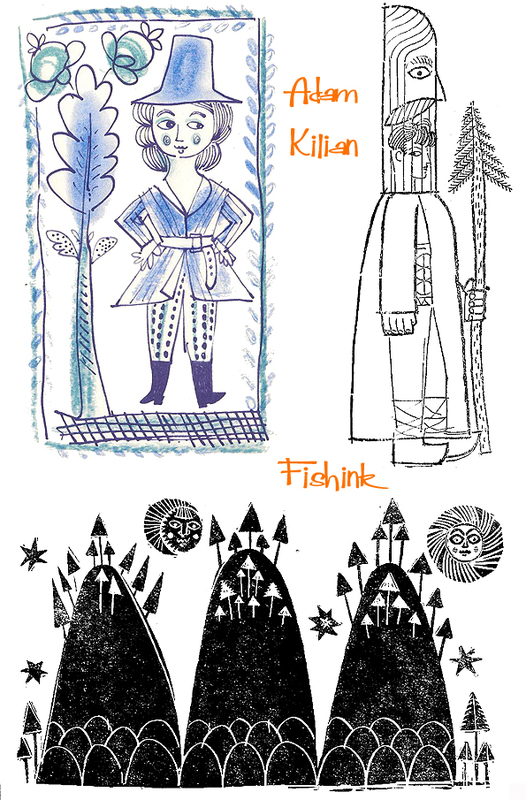 Some enchanting shapes and friendly characters here. 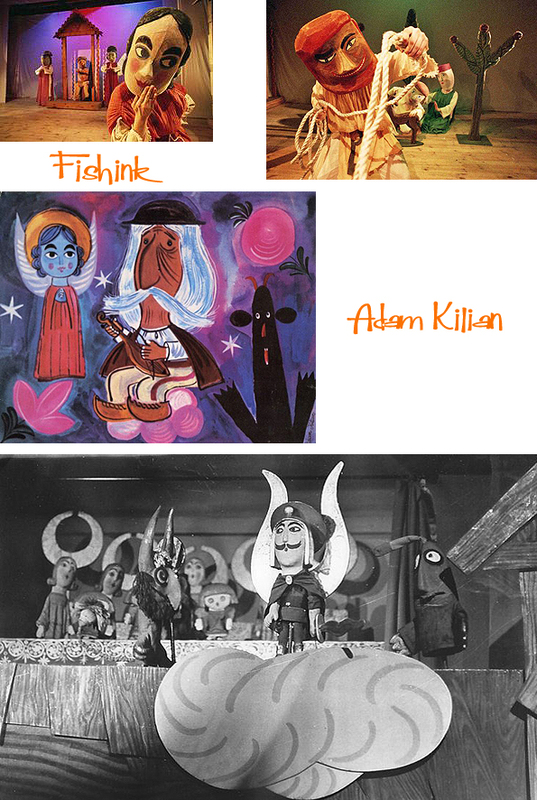 In 1951 the institution was renamed the Teatr Lalka (Puppet Theatre), and Kilian has been associated with this Warsaw stage for over half a century. He continued to design scenery there and became the theatre’s visual director in 1951. Since 1988 he has been a visual consultant. 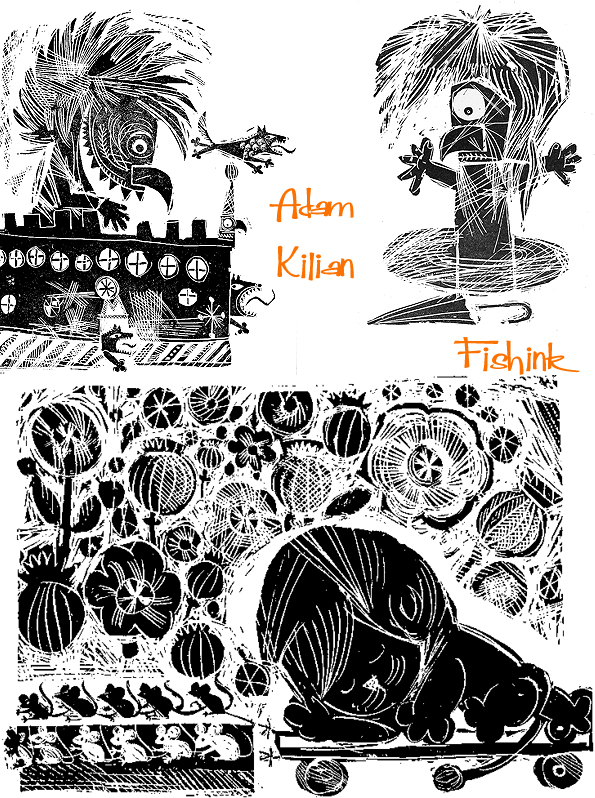 In addition, Kilian has worked with numerous other puppet and dramatic theatres, as well as opera houses. 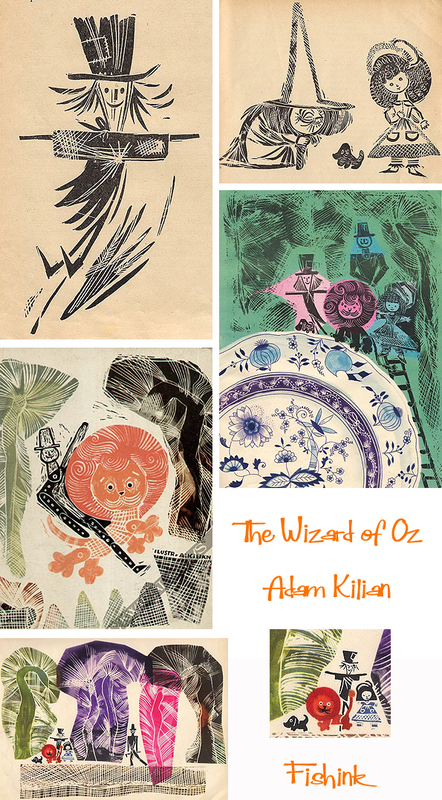 He also illustrated for numerous books including ‘The Wizard Of Oz’ in 1962. Great scratchy marks here. 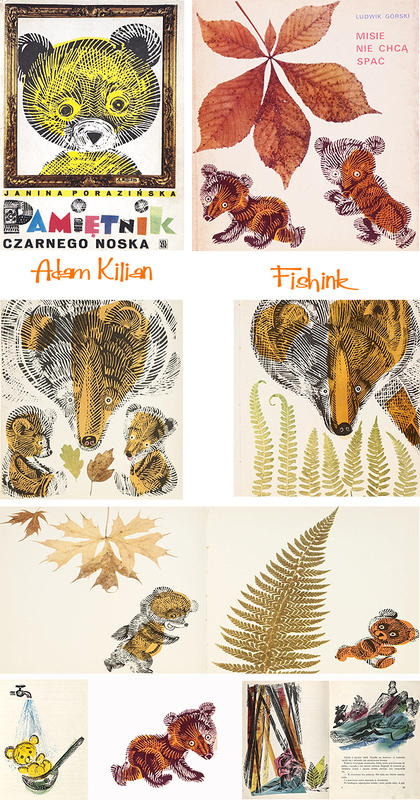 Since the 1990s Adam Kilian has focused on designing scenery for productions directed by his son Jarosław. 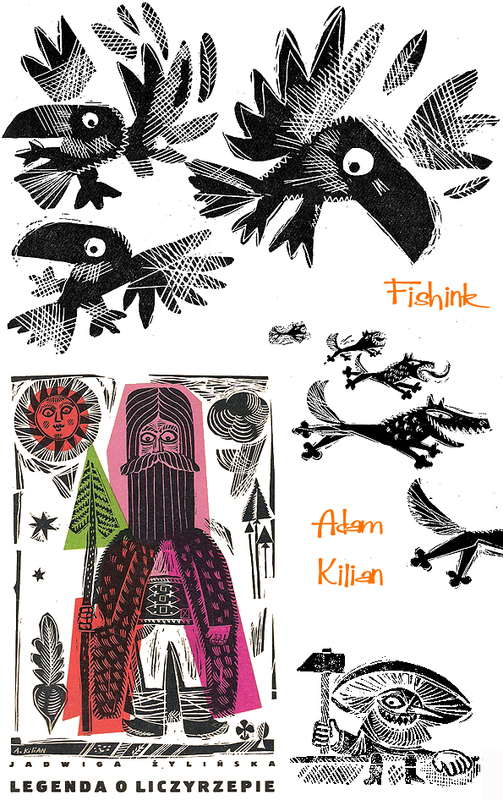 Kilian has also produced scenery for television shows, as well as poster and postcard designs. 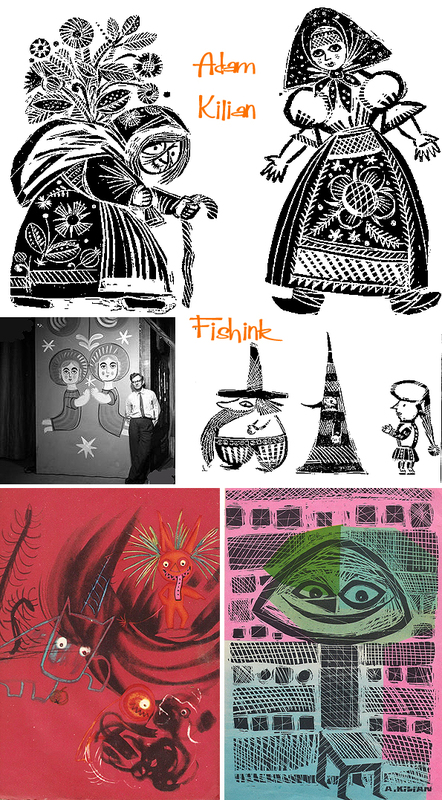 He devised the visual concepts of a number of drawn- and puppet-animated films. I love the expression in his characters. 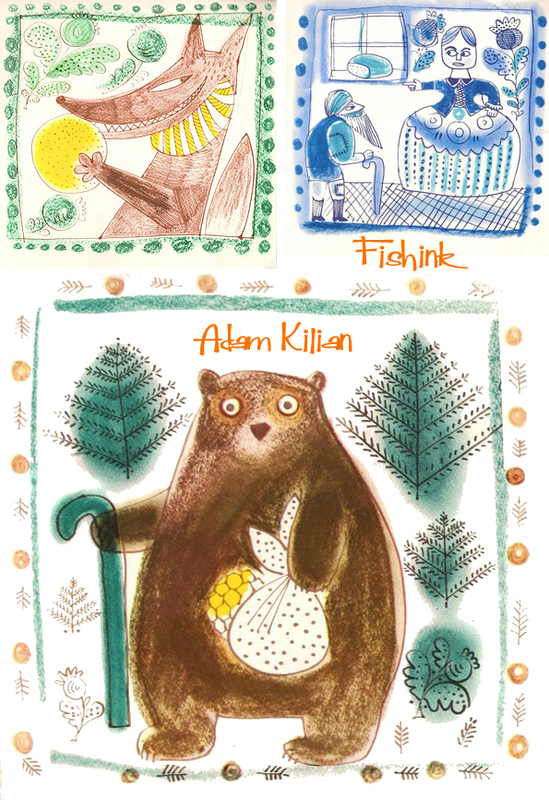 A beautifully illustrated book about bears in autumn. A few of his puppets. This mustacheoed figure looks right out of one of Oliver Sachs animations like Noggin the Nog or Ivor The Engine ! 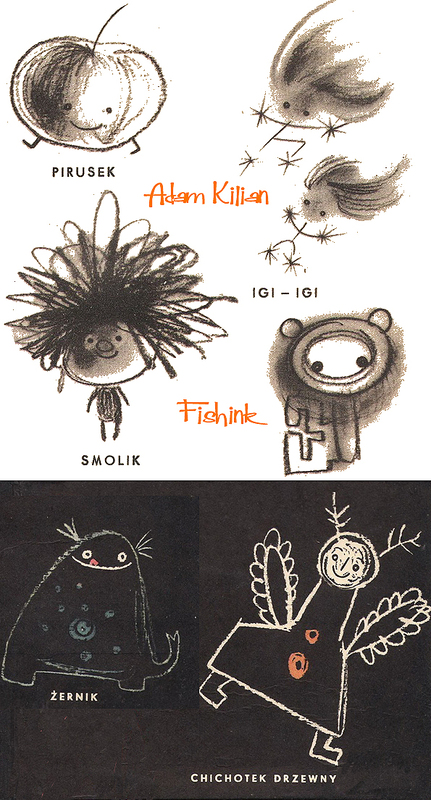 There’s a great post with more info about the life of Adam Kilian over at Culture Pl. I love his mountains and the way the trees cling to the peaks!! Great post as always!! It’s not clear to me what the yellow ‘blob’ is supposed to be, but you could be right there Mel. 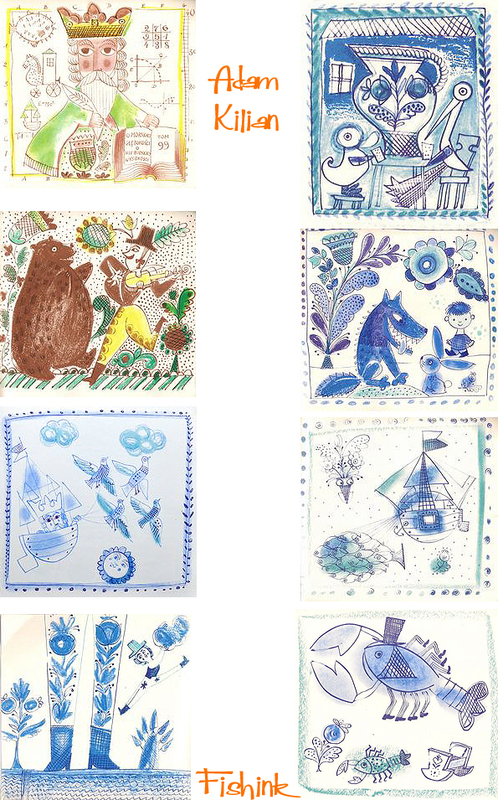 I do think they could be a clever nod to delft tiles for certain. Hello, as I know, Mr. Adam Kilian was born in 1923.